Shorting is a risky trading strategy. Shorting means betting against a company, in other words you'll make money when the stock price of the company you're shorting goes down. Remember, you can lose more than you 'invest', but sometimes it's simply easier to find stocks to short than it is stocks to buy. Not to mention, it's often very rewarding since there's a higher risk involved. A successful short is like taking out a credit card without having to pay back a dime. An unsuccessful short - well you'll have to pay back more than the credit card's worth. Anyway, finding good stocks to short isn't as hard as you think. Sometimes all you need is some common sense, and see a downward trend - not just on a stock chart, but in real life. There's a few stocks on my list I'm going to short this week, and with some I'll stay short. RadioShack (RSH) for instance is a fine example of a stock on my short list at the moment, which I shorted at $1.90; I wrote about that in a blog post when RadioShack stock was hitting a new all time low. Picking stocks to short isn't difficult to do when you look at the retail sector for instance. The traditional retail sector, as we know it today, will eventually collapse I think. Fierce competition from online retailers will likely wipe their ancient business model from the map. Merely a few companies and strip malls will survive, but it'll remain a tough situation for them due to the latter mentioned. The good news for traders is that this scenario is unfolding right in front of their eyes. Better yet, it's accelerating by the day. Think about this logically. 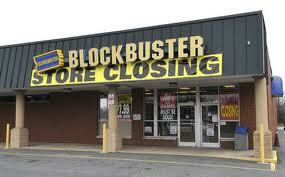 Right before Blockbuster video went out of business it did everything it could to stay alive. Promotions, free rentals etc. Yet the competition didn't have expensive stores to maintain. Redbox and such was/is merely a kiosk, a soda-machine like kiosk that pops out DVD's and Blurays. Netflix (NFLX) offers streaming video, no need to physically go to a store and pick out something and then bring it back, many like Netflix followed - leaving Blockbuster in the dust. We all could see this Blockbuster scenario coming from afar. Many other companies had similar dilemma's. Unfortunately, one of my favorite stores, Borders Books coped with the same problem - online competition. That was all in the past. But what can we learn from it? Well, look around you. We have to keep a close eye on companies that are susceptible to online competition. I think these companies are mainly in the retail sector. Take Staples ($SPLS) for instance. What I said about Blockbuster and Borders back in the day, I say about Staples today. How a company like Staples can survive is beyond me. By the way, that's exactly what they are doing, surviving - that's no way of doing business. Closing stores is usually a bad sign - not so much a cost cutting issue. But doesn't it make sense? Can't you buy the majority, if not all, office supplies - you guessed it - online? Therefore Staples has no future, a good stock to short? You bet! Same goes for RadioShack, which is even more susceptible to online competition, not to mention the competition from other major electronic retailers which offer the same - or better products - for cheaper. The same goes for Sears Holding (SHLD). When I started writing blog posts about Sears a few years ago, telling how this company is going nowhere, it was trading well over $80 a share. So, most likely companies that mainly sell products that can also be bought online, will go under sooner or later. Another fine example is GameStop (GME) or BestBuy (BBY), all retail companies that will go extinct within the next 5 years, if not sooner. Because why would you buy a product from a specialty store if you can buy the same product for the same price, or even cheaper, from a store 'where you can buy something else too', like Walmart (WMT), Target (TGT) etc. In fact I want to say that Target offers promotions like if you buy electronic product X, you get a $20 or more gift card for free. Retailers like Home Depot (HD) are less likely to suffer from online competition since their customers are less likely to buy lumber on the internet for example. So use common sense when you look in the retail sector to short stocks. Whatever the case is, when it comes to shorting stocks, I'm not looking at any other industry but the retail industry. Just for the simple fact it's an industry that's rapidly changing and offers clear direction when it comes to shorting stocks. My shorts this week are Staples (SPLS) and JC Penney (JCP), as soon as the rally on Wallstreet is over, these are the first stocks that will be affected the most. 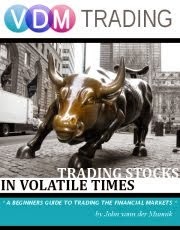 What are some stocks on your short list, or companies that you think will go under in the near future?